As Plan Administrator, you can determine if loans are allowed in your plan by checking your adoption agreement. In general, loans are permitted from profit sharing plans, profit sharing plans with a 401(k) feature and money purchase pension plans. After you have determined that your plan allows loans, you will need to determine if the participant is eligible for a loan and, if so, the maximum amount available. You can obtain assistance by calling the Plan Administrator Line at 800.752.6313 or logging on through Sponsor Web. Note that new loans are not available for participants who no longer work for your firm. 50% of the vested account balance in the plan. The minimum loan amount is $1,000. Only two new loans are allowed each plan year. There cannot be more than five outstanding loans at one time under all Program plans. Spousal consent may be required depending on your plan. Loans must be repaid within five years unless used to buy the participant’s primary home; then the repayment period is up to 30 years. 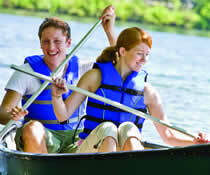 Loans are secured by the participant’s account balance. Loans and withdrawals cannot be made directly from a participant’s Self-Directed Brokerage Account..
Payments of principal and interest must be made at least quarterly and in accordance with the amortization schedule. The loan can be paid off in full at any time, but extra payments toward the principal cannot be processed. The amount of any distribution may be offset by the participant’s outstanding loan balance(s) when the participant becomes entitled to a distribution of benefits under the plan, rendering the outstanding loan balance taxable. Repayments should be made by payroll deduction, but if that is not possible, participants may make payments directly to the Program. The payment must be made for the expected amount and in the expected frequency, as outlined in the promissory note. The participant should submit a Loan Repayment Remittance Form (available in the Resources section at www.abaretirement.com) and a check payable to the ABA Retirement Funds Program. The interest rate applied to the loan is 1% above the prime rate published in the Wall Street Journal, as reviewed quarterly. The Program automatically uses the current interest rate. For participants invested in the Self-Directed Brokerage Account (SDBA), if assets in the base plan are insufficient to process the loan, some or all assets held in the SDBA must be liquidated and transferred to the Program’s investment options. Liquidations and transfers must be initiated by the participant. Interest continues to accrue on a defaulted loan. Participants who have terminated employment with your firm may not request a loan. Participants can get assistance with determining the amount they can borrow and the anticipated repayment amount by “modeling” a loan using the website or by calling the Customer Service Center. The loan modeling tools allow participants to test various loan scenarios to help them estimate what their loan payments would be for a particular loan amount and repayment period. It is a request for a residential loan. This is because if any of those factors exist, and the participant requests the loan online or by telephone, then a partially completed promissory loan note will be mailed to the participant, rather than a check being issued. The promissory note must be completed by you, and you and the participant will both need to sign it. If spousal consent is required, the participant’s spouse must sign and date it in your presence or in the presence of a notary public. The loan check will be issued when the completed, signed promissory loan note is returned to the Program. By using the Loan Request Form instead, which will already contain the necessary spousal consent, the loan issuance time frame can be reduced. See steps 4 to 6 for more information. The participant logs on to the Program website or calls the Customer Service Center. If the request is received by 4:00 p.m. ET on a business day, the Program will process the loan on that day (day 1). On business day 3, the Program will send to the Plan Administrator by overnight delivery the loan check and promissory note (which includes the terms of the loan). Upon your receipt of the loan check, you will establish a payroll deduction of the participant’s loan payments in accordance with the terms of the loan. If the loan should not be allowed (for example, the participant is not listed in our records as terminated, but no longer works for your firm), you can return the check to the Program and request that the loan be paid off. You will also need to notify the participant of this action. 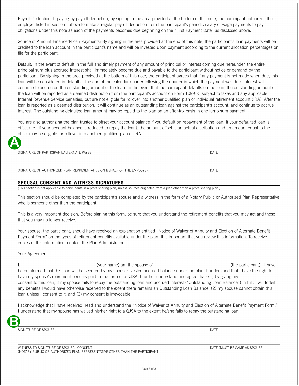 Note: Steps 4 through 6 are only necessary if the participant has elected not to use the website or the Customer Service Center to request a loan or if circumstances are such that a promissory loan note would be issued in place of a check (see Step 3, above). The participant completes and signs a Loan Request Form. If your firm’s plan is a money purchase pension plan or contains merged money purchase pension plan assets, it is subject to qualified joint and survivor annuity rules, which means the participant’s spouse needs to consent to the loan. You or a notary public must witness the spouse’s signature. The date of the witness’s signature must be the same date as the spouse’s signature. Both dates must be within 180 days of the loan issuance in order to be valid. A. You complete the employer information that relates to the plan and the participant’s vested percentage on page 2. B. The participant completes the participant information. • Dollar amount of requested loan. • Investment options the loan will be taken from and the dollar amount or percentage of the loan coming from each of the specified options (this is optional — if this section is left blank, the loan will be taken pro-rata from all investment options other than the SDBA). • Repayment schedule (from weekly to quarterly) and first repayment date. Names of other plans that have had loans issued in the last 12 months. A. The participant must sign and date the Form, then send it to the authorized plan representative for signature. B. If required, spousal consent must be obtained and properly witnessed. Once you receive the participant’s form, you must review and sign it as Plan Administrator. Mail the completed Loan Request Form to the Program using one of the methods described under “Mail & Email” in the Forms, Tools and Resources section of the Guide. The Program will send you a check via overnight delivery within two business days after the request is processed. You forward the check to the participant. The Program will send a letter, check and the Promissory Loan Note (which is contained in the check stub) to you via overnight delivery. 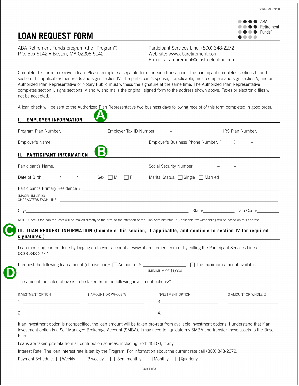 When a participant requests a paperless loan (i.e., a loan requested through the Program website or the Customer Service Center), the check (made payable to the participant) and confirmation notice (which confirms the terms of the loan) will be sent to the Plan Administrator. At that time, you can establish the payroll deduction and dispense the check to the participant. If you have a separate written loan policy, check your firm’s internal rules for more information on loans.